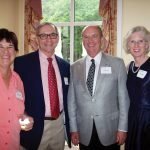 Supporters and volunteers of the Dan Beard Council, Boy Scouts of America, gathered June 15 to celebrate the 100th anniversary of the congressional charter for the BSA and William Howard Taft as Scouting’s first honorary president. 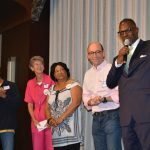 Approximately 700 people attended a June 25 Community Summit conducted by the Child Poverty Collaborative. 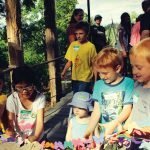 The kids wielded the scissors to cut a ribbon of paper butterflies and open NaturePlay@BCM. That seems appropriate, since the innovative outdoor play space at Covington’s Behringer-Crawford Museum is designed for them.